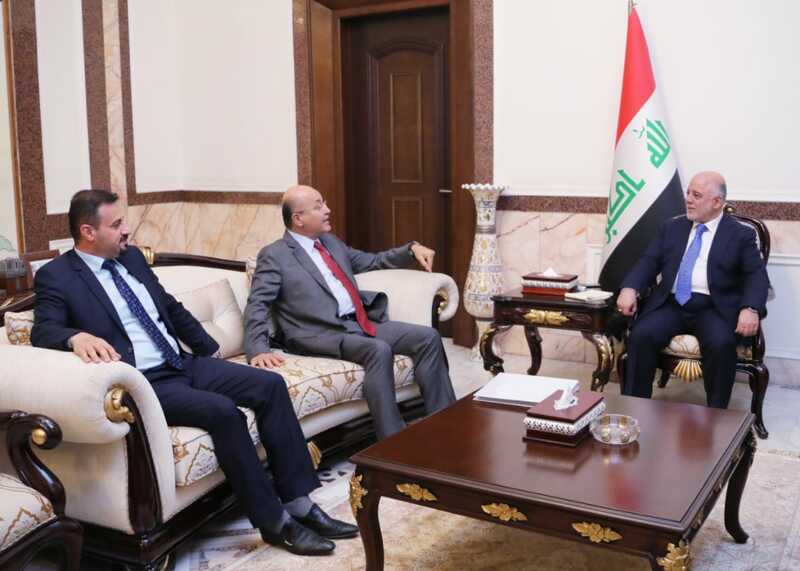 His Excellency Prime Minister Dr.Haider Al-Abadi has received, today on Tuesday in His office, President of Coalition for Democracy and Justice Party Barham Salih. They have discussed current political issues with the General election's violations. Mr. Barham Salih has expressed his support to the decision of the Council of Ministers today regarding the conclusions about recommendations concerning the Supreme Committee formed. They have discussed a number of other topics.